Imagine being able to repair joints without potentially risky surgery. You can with the groundbreaking PRP Therapy that’s now available at Fraum Chiropractic Life Center. The therapy has been used by numerous professional athletes to provide noninvasive treatment for injuries. However, you don’t have to be an elite athlete to experience the safe and effective benefits of platelet rich plasma therapy. 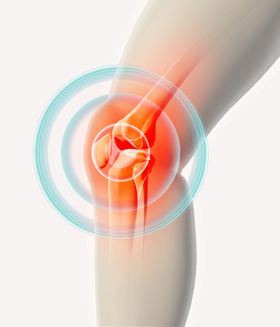 With PRP Therapy, you can experience non-invasive, natural pain relief and healing. To find out more about this life-changing new therapy, call us at (843) 681-7777 today! Who Can Benefit From Platelet Rich Plasma Therapy? Call (843) 681-7777 or book an appointment online to find out if PRP Therapy is right for you! Conventional treatments such as surgery, steroid injections or anti-inflammatory medications to get pain relief may only provide temporary relief without getting to the root of the problem. By injecting activated platelets in the area of pain, we are able to trigger your body’s natural healing that would not otherwise occur within your own body. With PRP Injections, you can experience relief and healing naturally and non-invasively. We would love to help you get out of pain – give us a call today at (843) 681-7777! Unfortunately, the insurance industry hasn’t caught up with medical advances and are not yet covering Platelet Rich Plasma Therapy. It is our hope that one day soon the treatments will be covered by majority of insurance companies. Until that day comes, we offer flexible payment options to ensure you are able to access the care you need without delay. Please call us at (843) 681-7777 to discuss the convenient payment options available. We can help – Call now!